Please specify the test to be ridden on the Entry Form. Western and USEA riders must mail in three copies of their test along with entry form. A Ride-A-Test is a judged Dressage Test followed by a 15 minute clinic with the Judge. 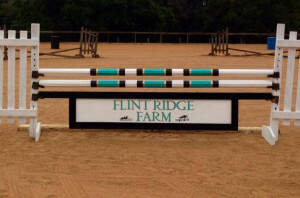 October 28 – Dressage and Combined Training Schooling Show at Flint Ridge Farm. Costume contest for riders/horses. Please DO NOT BRING YOUR DOGS!! Please pass this along to your family and friends coming to watch you as well. There are resident dogs on the property and we’ve all seen the YouTube videos of the dog that gets loose during the show! Volunteers are always appreciated!! Please email Natalie Weil @ TVDCTA.ShowSecretary@gmail.com to volunteer. Thank You! Please inform any friends and family that may come to watch you compete. Volunteers are always appreciated!! Please email Natalie Weil @ TVDCTA.ShowSecretary@gmail.com to volunteer. Thank You!! More information on awards will be coming soon! We are excited to have Meris Greges give a talk about Balance and Biomechanics at our next meeting. Her perspective as an engineer, judge, rider, and trainer can help shed some light on simple biomechanics concepts, specifically breaking down the horse’s gaits, and how you can apply them to your riding. Meris has a background in classical dressage and enjoys training horses from the very first ride up to the FEI levels. She has earned her USDF Bronze and Silver Medals on her self-trained horses, is a USDF “L” Graduate with Distinction, is a USEF Dressage judge “r” candidate, a US Pony Club graduate and a PATH (Professional Association of Therapeutic Horsemanship) certified instructor. She has won multiple USDF Year End All Breed Awards and been featured in The Chronicle of the Horse, USDF Connection, and The Paint Horse Journal. During her undergraduate studies in Mechanical Engineering and Exercise Science she did gait analysis for Olympic level figure skaters in the Biomechanics lab. While earning her MS in Biomedical Engineering she was involved in evaluating motion of club foot children and correlating MRI finding of spinal cord injury to kinematics. Professionally she was involved in cutting edge technology in the Thoroughbred racehorse industry specializing in Biomechanics and locomotion which resulted in selecting many Graded Stakes winners. Meris instructs people and horses of all types out of her and her husband’s farm in Athens, AL, that they share with their son, five horses, two dogs and two cats.